Thrusting skyward in the South Korean capital Seoul is what will soon be the tallest building in East Asia – the 555 m Lotte World Tower, which will add a striking new facet to the city’s skyline. 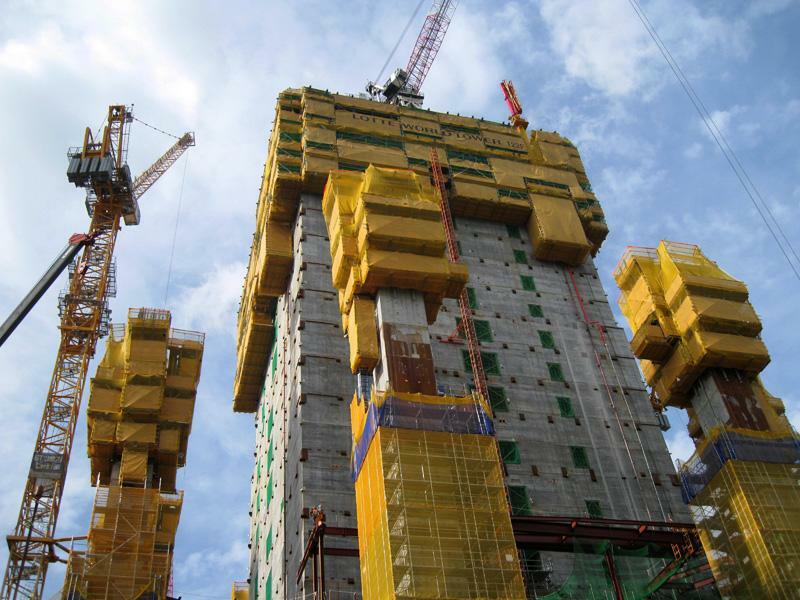 The Doka formwork solution fielded here uses SKE100 and SKE50 plus automatic climbers and the Protection screen Xclimb 60, and is ensuring swift, safe construction progress. 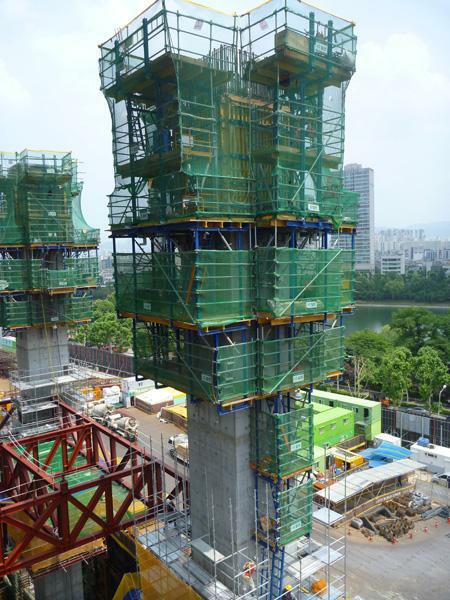 In a formwork-engineering ‘first’, the Formwork Experts are using telescoping protection screens and platforms to deal with the structure’s continuous taper. 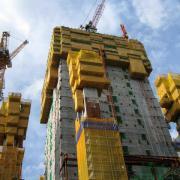 The Lotte World Tower is a project on a superlative scale. Once this skyscraper is completed, its 123 storeys will house not only shops, offices and small apartments (known locally as ‘officetels’), but also a 7-star luxury hotel. 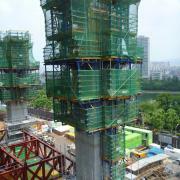 The top ten storeys, with a viewing platform and café on the rooftop terrace, will be given over to public use. According to this megabuilding’s architects Kohn Pedersen Fox, the visual design of the gently tapered tower, with its uninterrupted curvature, was inspired by elements of traditional Korean ceramics, porcelain and calligraphy. The client, the Lotte Group, is incorporating photovoltaic panels, wind turbines, exterior shading devices and rainwater harvesting systems into the building. “Elegance of form” was one of the prime objectives. The facade will be clad in light-toned silver glass accented by a filigree of white lacquered metal.